Picking strong companies to buy shares of stock can seem difficult especially with the current market being as inflated as it is. Finding individual stocks to buy at a discount is possible by sticking to the fundamentals. This means finding well-established companies that have been around for many years with good track records of past success. Many people become emotional investors and buy whatever the media is selling them. They hear in the news and media a stock is taking off, so they decide to buy shares in that company and then the stock’s market value drops. Emotional investors often buy high and sell low. Here I’ll explain some quick tips on how to pick stocks by looking at their intrinsic value and by sticking to the fundamentals. The book value of a common share of stock is what, you, the shareholder would be paid after the company paid off all their debts and liquidated any of their assets. Examining a stock’s book value per share can be helpful in finding out whether or not we should buy the stock. What I do is look at the book value per share of a stock from the past 10 years leading up to the present. As I do this I look to see if the book value increases or decreases and if there were any dramatic drops in the book value during those years. If a share’s book value decreased in many of the years that’s a red flag or any large drops in the book value in select years could be a sign the company is not stable. If a stock’s book value has steadily increased each year this is a good sign and what we’re looking for! Generally I look to see if the book value per share has remained steady or consistent throughout those ten years to determine if the company is stable. Also, determine how much the book value amount changed each year from the preceding year. Then add up the change in value for each of the 10 years to find the total increase in book value per share for the 10-year period. Look to see a trend in the 10-year dividend history. A good company would be one whose dividend steadily increased throughout the 10-year period. It’s uncommon of a good company and a bad sign if a stock’s dividend decreased during that 10-year period and should be investigated. While examining a stocks 10-year history, also check the EPS. The EPS should have remained consistent or increased during the stock’s 10-years. If the EPS decreased consistently during the 10-years that’s another red flag. When looking at the 10-year data on a company’s Book Value per Share, Dividends, and Earnings per Share what we’re doing is determining if that company stable. Look for red flags by examining if any of those values have noticeably large declines or jump up and down during the 10-year period. These values can be found by going to www.morningstar.com and clicking on the “stocks” tab and the top of the page and typing the company’s stock ticker symbol into the “quote” search bar. From there click on the “Key Ratios” tab and it’ll bring up the key ratio page with data and ratios from the past 10-years, if you scroll down that page you’ll find the book value per share, dividends, and earnings per share along with other ratios. The debt-to-equity ratio is calculated by taking a company’s Total Liabilities Divided by Shareholders Equity. These figures can be found in the company’s balance sheet. You can either look at the annual balance sheet or the quarterly balance sheet. I like to calculate the annual and quarterly debt-to-equity ratio to determine their debt-to-equity in the last year and their quarterly debt-to-equity lets me know how they’re doing currently. This is an important ratio in determining how much debt a company has compared to their equity. In the XYZ example, the debt-to-equity ratio of 0.5 means that XYZ Company has half as much debt financing their business as there is shareholder equity. The lower the ratio the better. After you have found or calculated the debt-to-equity ratio, you want to compare that ratio to other companies’ debt-to-equity ratio in the same industry, or in other words, find the “industry average”. By comparing the debt-to-equity in the same industry, you can decide if the stock you’re looking at buying’s debt-to-equity is high or low. If you determined a company’s debt-to-equity ratio is high for its industry it’s probably a stock you want to stay away from. Boom! 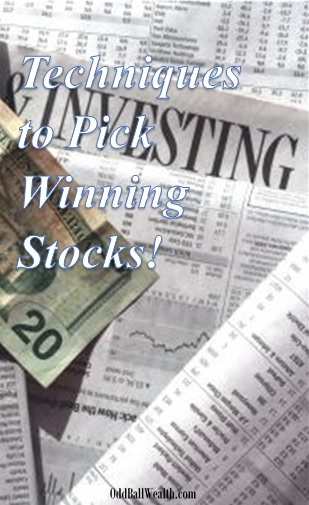 We just went over some quick and simple tips on valuing a stock! Another great ratio to help you determine the value of company and whether to buy a stock, is the Current Ratio which I’ll go over in another article. If you have any questions on how to find a company’s 10-year summary on Book Value per Share, Dividends, and Earnings per Share; or on how to find or calculate the Debt-to-Equity Ratio feel free to email me. My contact information can be found by clicking on the “About the Author” tab at the top of the home page.